So I know.....This post is a day late. I apologize for that, but yesterday was super crazy with homework and driving my kids all over the universe. Anyway, this past week we were back to having three streams so yay for that! Although, as I make this post, I realize I need to take more pictures throughout the streams. I guess I get too distracted by talking and having fun. Maybe you guys could spam the stream chat every few minutes and tell me to take some? Or spam my twitter feed :D Seriously though, as time goes by, I hope to get better about remembering so I can make these posts more interesting with pics. Anyway, on to the recaps! 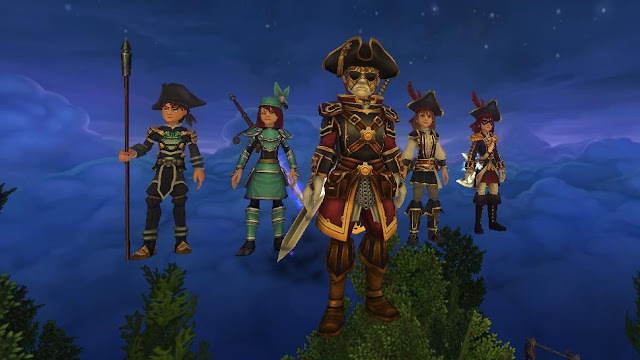 On Sunday, we decided to get into Pirate101 since we had to cancel 2 of our weekly questing streams in a row. Since neither of us had much experience with ship PvP, we decided to try it out. We had a few people join us and it was really a lot of fun! I even let Edward sink my ship with his raft. We also tried to farm the ship that was in the PvP area, but it takes forever to respawn! Please lower the respawn time, Kingsisle! Either way, it was a lot of fun! After a while doing ship PvP, Jack Nightingale invited us back to his house and I PvPed against Edward. I might have won, but I think he let me :P The shot above is in Jack's house in a glitch he made. It was awesome! Thanks for letting us use your house, Jack! And thanks to everyone who joined us! 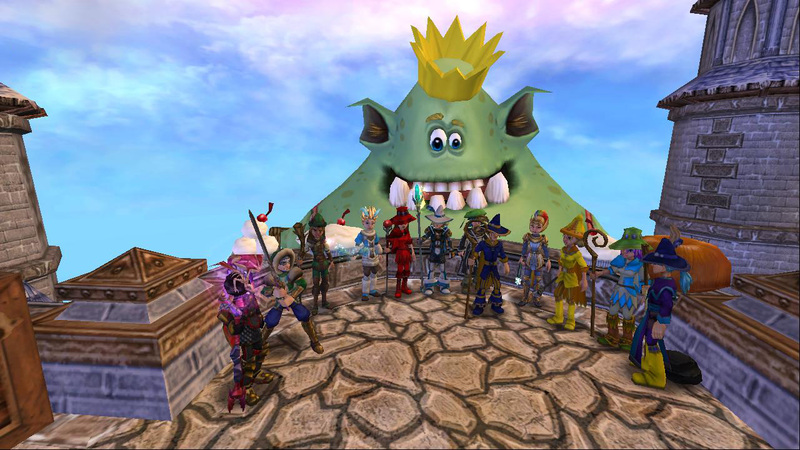 We are almost done with Wizard City! 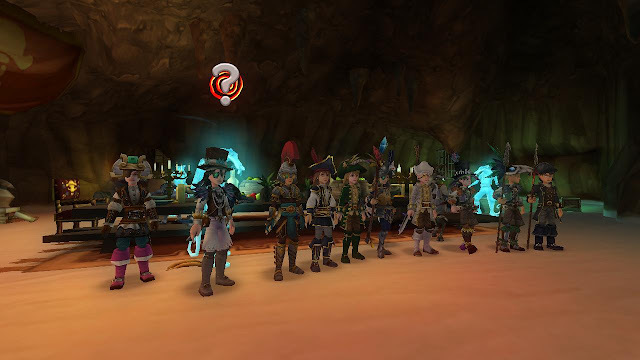 On Tuesday we finished up Cyclops Lane, Colossus Blvd, and fought Foulgaze! Questing on here with this group has been so much more fun that I thought it would be and we even had a few new people join in! 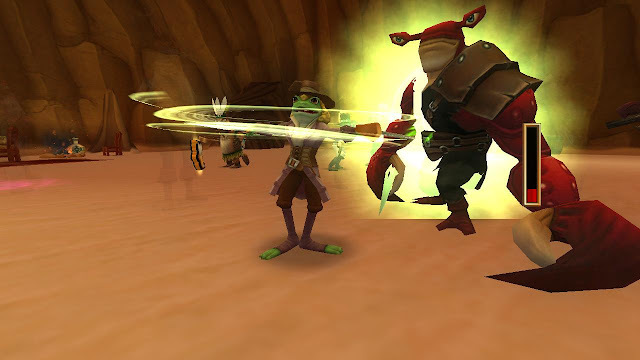 Next week we are planning on finishing up Wizard City by fighting Nightshade, venturing into Crab Ally, and if we have time, doing a run through the Sunken City. You need to be level 12 to access Crab Ally, so if you would like to join us, be sure to catch up. We will be helping some people level up with Wizard City Side quests this Sunday during our stream, so be sure to join us if you need help! Again, we will be helping some people during Sunday's stream if anyone needs help catching up. Pirate101 help will be during the second hour of streaming, so around 8pm EDT. Each week we seem to gain a few more people which makes it more and more fun. so I hope to see you in either game this coming week! Until then, have a good weekend!